M.A.D. 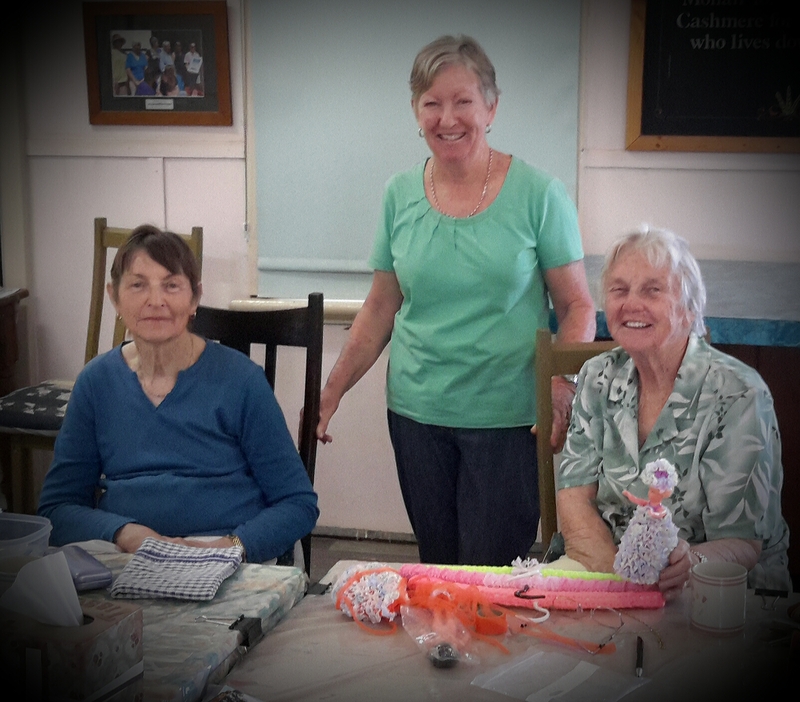 in Mullewa – Craft-a-licious . .
“Look at this fabulous piece of fiffery I’ve just completed!”, says Wonderful Wife. Grunt plus mumbled platitudes are Handy Husband’s reply. Yes, it’s not easy keeping your creative chin up whilst caravaning. Luckily for me I discovered the Mullewa Arts Development group (aka MAD) to help with my sanity. 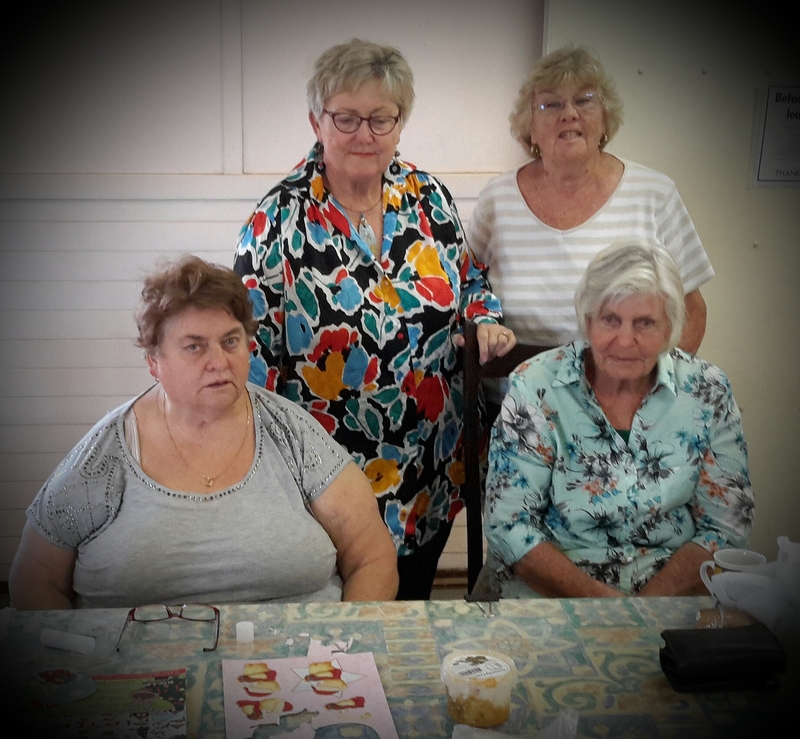 This wonderful bunch of ladies meet every Thursday from 10am at the old station on the Mullewa train line. If you are in the vicinity do drop in and say hello, they are certainly most welcoming. Not only is creativeness achieved, but also the fun and friendly chatting on topics such as the use of tea leaves as a fertiliser – especially on maidenhair ferns, or tea bags soaked in kero and used as fire lighters through to grandmothers glueing their false teeth back on with araldite, and the mess created when using too much yeast to prove bread overnight in the back of a ute. Yes, this is what really assists in restoring inner calm to those of us starved of a bit of womanly conversation. Upon returning back to the caravan and rummaging around my craft drawer I came across my forgotten, yet very delicious possum /cashmere /silk yarn – yay for me! It’s like finding money you’d stashed away and forgotten about – until you find it again .. The headband knitted up from the soft deliciousness is adapted from Drops free pattern. Sadly you just can’t see how delicious this headband really is ..
Oh, if you would like to make a sweet knitting ball necklace to proudly wear to any crafty encounter – here’s where I went. It is great fun to find a treasure and to meet with like minded people. Hope both your hand, and Ralph’s back are better. Thanks kindly for your comments Carole. Thank heavens both Ralph’s back and my hand are doing OK. Would possibly be doing better if we were both 20 yrs younger tho! Hope you and Dave are also keeping well.